I Have A Fenix 5 On My Wrist — And It Feels Good. 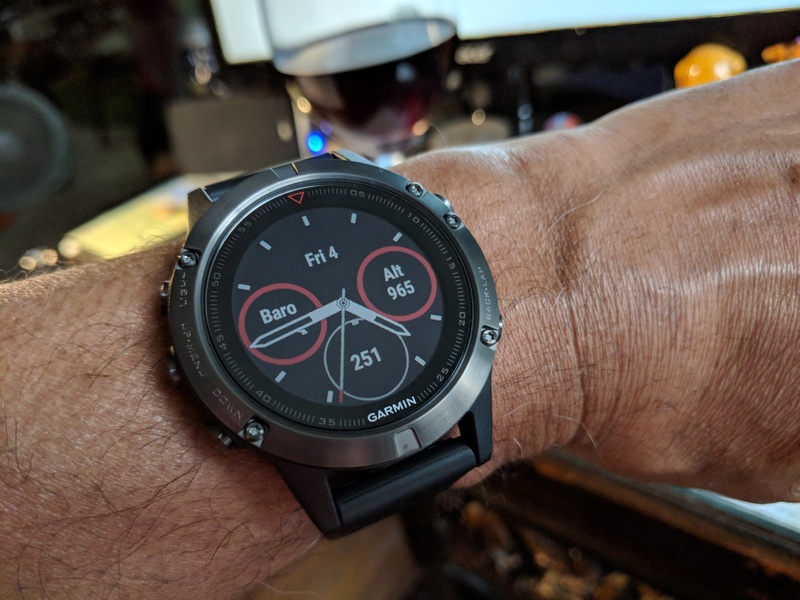 The Fenix 5 (Glass) I ordered from ‘Heart Rate Monitors USA‘ arrived this afternoon. I got it from them, i.e. HRM USA, rather than Amazon because that is where I got my original Garmin Vivoactive 3 last November and they took very good care of me. Lets just say that I have a smile on my face because I got a good deal. I wasn’t sure how big or heavy the Fenix 5 was going to be. It isn’t too bad. So far it has not felt uncomfortable, BUT I haven’t slept with it or gone for a run wearing it. Pairing with my Android Google Pixel 2 phone was pretty easy. Paired on the second attempt. That is GOOD compared to my past attempts. The functionality is mind blowing. There is SO, SO much. But, it seems to be pretty well organized. I managed to get more done, right off the bat, than I had hoped. That is good. I have only had it for a few hours. More in the next few days. The Vivoactive 3 and Fitbit Ionic on my wrist.